Spain's Rafa Cabrera-Bello revealed Tuesday he has sought guidance from Europe's Ryder Cup captain Thomas Bjorn as he plots his schedule over the remaining weeks of the season. 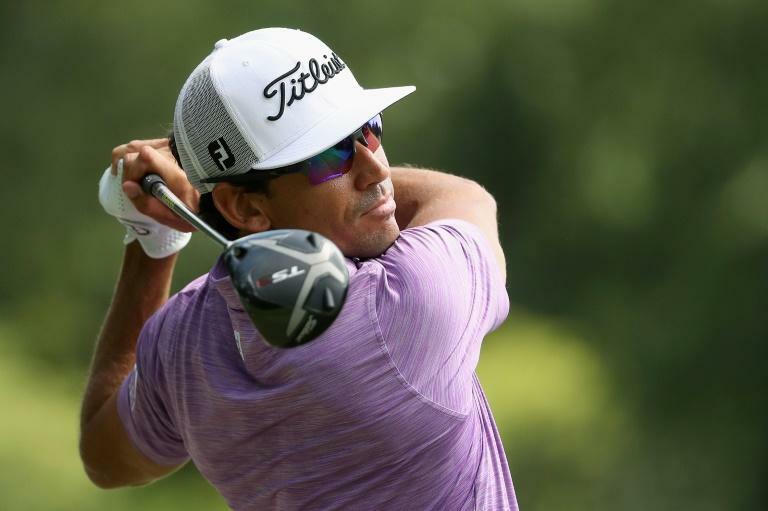 Cabrera-Bello told reporters at the Northern Trust Open he has taken the unusual step of speaking directly to Bjorn for scheduling advice as he aims to lock down a berth in the Ryder Cup squad. The 34-year-old currently lies ninth and just a place outside of automatically qualifying for a second straight Ryder Cup team after making his debut two years ago at Hazeltine. The Spaniard teamed with compatriot Sergio Garcia to be undefeated, winning two matches and halving another. Cabrera-Bello then humbled American rival Jimmy Walker in the Sunday singles to finish as the third highest-scoring European in Darren Clarke's eventual losing side. This week's event in New Jersey is the final European Team qualifying event for Europeans competing on the PGA Tour to qualify via the World Points list, whereas two events remain to gain selection via the European Points list. "I phoned Thomas on Monday morning as I wanted the best advice from him with regards to my scheduling these next two weeks and what would be best for me in trying to qualify for the team," said Cabrera-Bello. "Given this is the last European Team qualifying event in the States, I shared my thoughts with him and he was very understanding. "It all hinges on how well I play here in New Jersey so I can’t say at this stage whether I will go to Denmark next week." Cabrera-Bello is hoping that he can book his place on the team with a solid display in New Jersey via the World Points list. However, the immediate two players under him on the "World" list are England's Ian Poulter (10th on the list) and Paul Casey (11th), who are also teeing-up in New Jersey. "All I can do is my best this week and outside of that it is beyond my control," Cabrera-Bello added. "If I were to win this week I may still not make the team but for sure, if I were to win it sends the message to Thomas of my determination and I also would like to think that my experience, and also my record from Hazeltine will help me prepare as I am not a rookie and I know what the Ryder Cup is all about. "I was a very good player when I got to Hazeltine in 2016 and I feel I am as good as a players two years on."